Today is the start of the Miss Kate Cuttables Monthly Challenge for January 2016. Each month there will be a new theme to follow. Miss Kate Cuttables file on your project. You will go HERE to enter your project Pic. This is the Miss Kate Cuttables FB Galleria. Isn't this the cutest file? 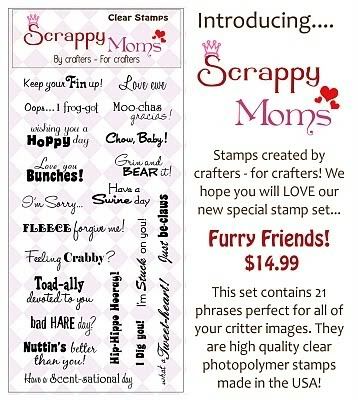 Scrappy Mom's stamp sets called "Furry Friends!" The theme is "Anything Goes" so the sky is the limit. Super cute! 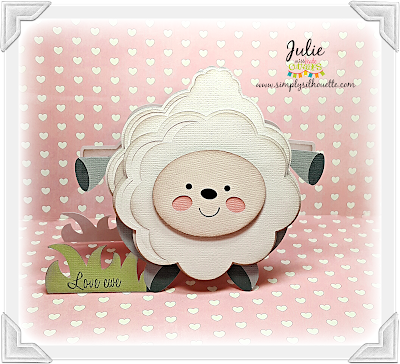 I sure do like shape cards, but hardly ever make them. I saw this through my MKC email and just HAD to pop by to let you know how absolutely adorable I find your card! It's so incredibly sweet! !